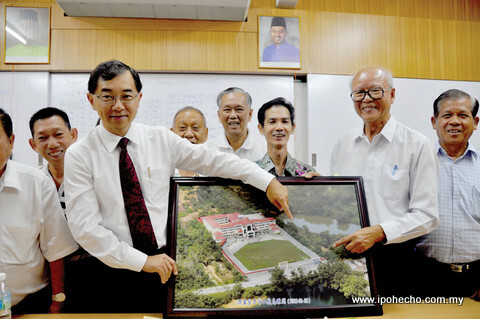 A previously submitted application for land by SJK (C) Wan Hwa 2 to the state government led to a surprise visit by Executive Councillor Dato’ Dr Mah Hang Soon to the school recently. Wan Hwa applied for the land beside the school, in June last year. The principal had met with Mah previously to discuss the matter. The application, said Mah, is being processed. The state government approved almost five acres of land requested by Chinese schools in Perak last year. The school plans to convert the state land into a car park. A car park is necessary as parents are not allowed to drive into the school compound to pick up their children. This is the cause of the massive traffic jams outside the school. SJK (C) Wan Hwa has an enrolment of over 3,000 students and is almost a hundred years old. In 2000, the Board of Directors decided to move the school from its former location to the present site in Menglembu. The new school was built in 2009 at the cost of about RM9 million. Funding was sourced from the state government, who gave RM2 million while the rest came from donations and contributions. The Board of Directors hopes approval for the land will be given in due course. Funding for the project, estimated at about RM1.5 million, will be similarly sourced – from the state government and well-wishers. Scenario: Cecil Rae Lane, Canning Garden. Commercial block of shop lots consisting of mixed traders inclusive of three kedai kopi (coffee shops) and gaming shops fronting the Canning Garden market, a near perfect 1Malaysia street. The time is 9.30 a.m. The coffee shops are busy with the breakfast crowd and their chatter fills the road outside. The parking lots are full and motorists are double parked waiting for a slot. Everybody is doing their own thing when a shout cries out, “Chow Pai!” from one of the coffee shops. Seconds later another “Chow Pai!” shout is heard. 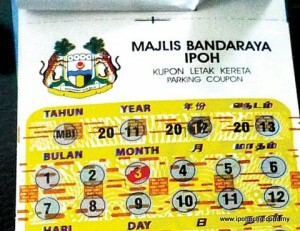 All heads perk up and many rush toward their cars, open their car doors and start scratching their parking coupons before placing it prominently on the car dashboard. Chow Pai is Cantonese, literally translated means ‘copy number’. In this case it is a parking alert that an MBI enforcement officer is outside checking for cars without a parking coupon to issue a parking summons, as is his duty. 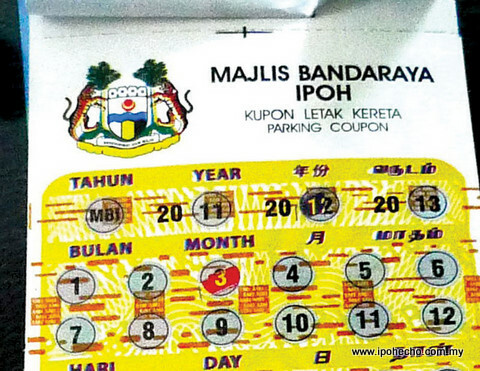 According to a trader there, this happens throughout the working day explaining some motorists just pop in to buy their (betting) ‘numbers’ or ‘tar pau’ (take-away) a snack so they don’t scratch their coupons. Thank goodness for the lenient MBI officer as I witnessed him approaching a car as a motorist came rushing forward with parking coupon in hand, indicating that she was ‘scratching it’ and he moved to the next car. No, I did not see the officer printing out any summons that morning as every car had their parking coupons displayed. Lorry loads of garbage was removed from the Sungai Pari bridge in Jalan Raja after the recent floods. However, rubbish is hanging from the bottom of the bridge and some touch the water. 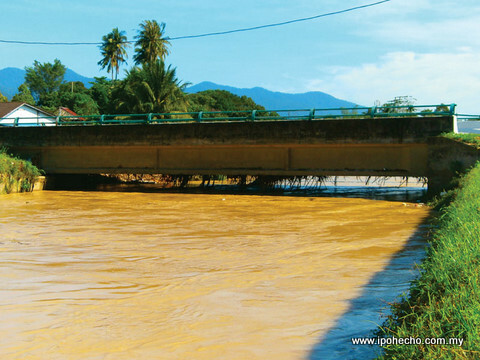 During heavy rain when the level of the water rises to the bottom of the bridge, the rubbish restricts the flow of debris along the river. I am not going to blame MBI workers for not removing this, because it cannot be seen from the top of the bridge, but can be seen clearly from my house. The rubbish must be removed before they start to pile up. I do not want my house to be flooded again. An English spelling contest was organised recently by Y’s Men’s Club, Ipoh as part of its on-going community project. The event, held at YMCA Ipoh, saw keen participation by 13 primary schools from within the city. A total of 39 students took part in the contest whose objectives were to improve the spelling skills of students and to encourage competition among them. 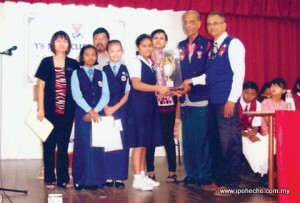 Udaya Banu and his team of judges had difficulty in picking the winners as the participants’ spelling skills were high. Sarah G from SRK Marian Convent won the individual category while Wong Jun Sen of SRK Methodist (ACS) and Rossan V of SRK La Salle were the runners-up. Overall champion went to SRK Marian Convent with the most number of points. The club has other community-related activities planned for the coming months. Of interest is the Charity Walk for Healthy Heart and Jumble Sale on April 21 and the Children’s Colouring Competition on May 5. For details call K. Letchimanan at 012-5381939. 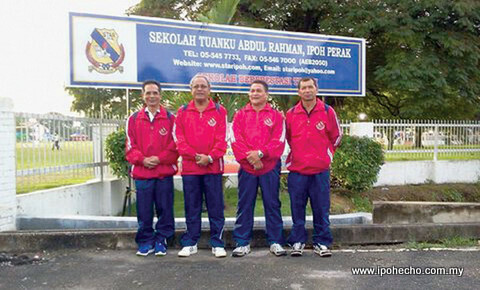 Sekolah Tunku Abdul Rahman (STAR), Ipoh has a long sporting tradition which dates back to its humble beginning in January 1957. 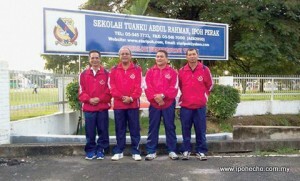 The school, like similar institutions in Ipoh, has produced many sporting legends, especially rugby players who went on to don state and national colours. In fact, sports have been synonymous with the development of STAR per se. In keeping with this proud tradition, the school organised the STAR Gold Rush Athletics Circuit 2012 on Saturday, March 3 at the school field. The athletics meet was an occasion to honour past greats who were invited to grace the day-long field event. A line-up of who’s who was on hand to provide the finesse to an otherwise mundane occasion. The presence of these one-time sporting greats was a true reflection of the appeal the school has on its past students. The current batch of students could only watch in awe at their famous seniors. The athletic meet did produce some noteworthy results but were nowhere near that of the former athletes. A case in point was the renowned Golden Quartet ‘72 comprising of Yusof Ali, Hassan Ahmad, Zaharan Mat Piah and Mohd Redza Rahman. The foursome, who were present at the meet, were a force onto itself in the 1970s. Between them they had won several accolades for the school. Their forte was in the short sprints and the relays. The seniors could only reflect on their past recalling a time when giving their best for their alma mater was all that mattered. The Bakti Siswa BAIDURI Programme, a brainchild of BAIDURI President, Datin Seri DiRaja Saripah Zulkifli, was launched by Raja Puan Besar Perak Tuanku Zara Salim, at the Chief Minister’s residence recently. The objectives of the programme are multi-fold. They are to provide BAIDURI (Association of State Assemblymen’s Wives) members an opportunity to share experiences with university students, to organise community services, to instil the spirit of volunteerism and to create an avenue for students to offer their views on nation-building. Ultimately, these ideals will make the students be more competitive and become people of integrity. The first activity of the programme, held earlier in the day, was a gathering of university students, organised by student advisory council – Majlis Perundingan Mahasiswa Perak. Over 300 female students from all over the country participated in a series of dialogues aimed at helping them to face challenges on campus and in the working world. Participants received certificates at the end of the day-long programme. Ten students from disadvantaged backgrounds received bursaries from BAIDURI President. Brazilian Ambassador, HE Sergio De Souza Fontes Arruda, paid a courtesy call on Perak Menteri Besar Dato’ Seri DiRaja Dr Zambry Abdul Kadir at his office on the morning of March 1. The meeting lasted approximately 40 minutes after which Zambry presented Arruda with souvenirs which included an English translation of a book of poems written by Zambry and a poster of the State Crest embroidered in gold thread. Arruda announced that he would be leaving Malaysia soon, having been posted to Azerbaijan. Arruda travelled alone to Ipoh earlier the same morning using the electric train from KL and described the service as “excellent”. In an effort to drive awareness that one needs health to pursue wealth, CIMB Bank (Tasek, Ipoh) invited Perak Community Specialist Hospital (formerly known as the Perak Chinese Maternity Hospital) to provide free health screenings and diet counselling to the public to launch their “Bijak Malaysia Savings & Protection Plan” Open Day recently. The response was enthusiastic as many showed up for the health check and learnt about the CIMB plan. 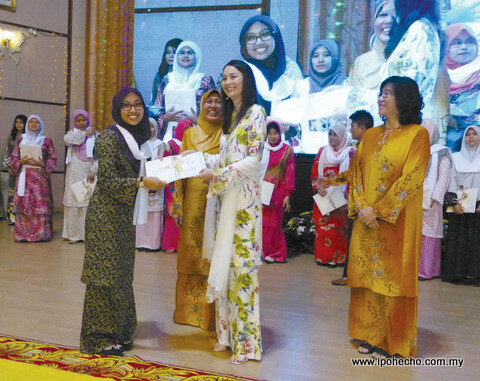 The International Women’s Day was celebrated at the Taman Boon Bak, Rukun Tetangga Sector recently. The Guest of Honour for this function was Dato’ Thong Fah Chong, the Ipoh Timur MCA Division Chairman. He said that our community should appreciate the role played by women in various economic sectors, political and social. He also mentioned that in this coming general election, we need to make the correct choice of candidates that work for our children’s and grandchildren’s future aspirations. Entertainment included a performance by SMK Pinji, the Ipoh Chinese Cultural Club with their energetic and spectacular 24 Chinese Season Drums, line dancing and dragon dance. 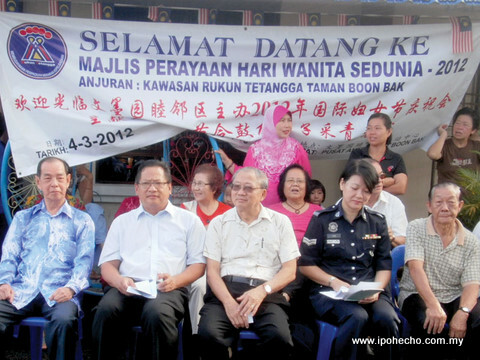 The function was also attended by Koperal Lee from Balai Polis Pasir Puteh who urged the communities in Taman Boon Bak to take care of their belongings, with advice on prevention of house breaking and safety procedures for all the women who were present at this function. The largest Islamic Bank in the world, Al Rajhi Bank, launched its first branch in Perak at Greentown Business Centre officiated by Perak Menteri Besar Dato’ Seri DiRaja Dr Zambry Abdul Kadir recently. 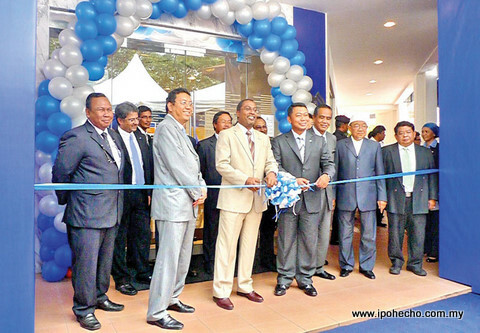 Al Rajhi Bank is five years old in Malaysia and Ipoh is its 23rd branch. It is headed by its CEO En Azrulnizam Abdul Aziz, an Ipoh boy from Manjoi. The Bank is a universal Islamic bank and offers strict Shariah compliant banking products and services that are structured on Islamic principles. In conjunction with the opening of its Ipoh branch, the bank is re-launching its other 22 branches with special promotions till the end of March.